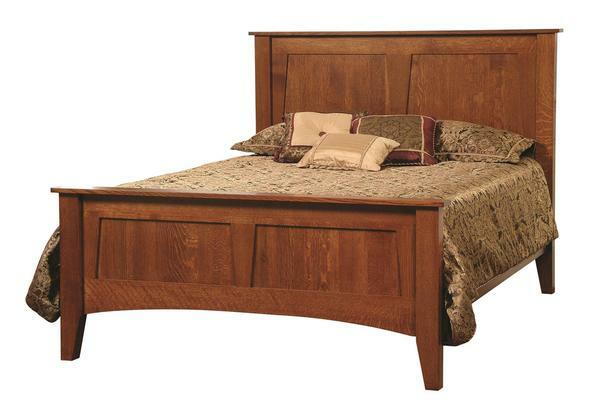 This solid wood Heirloom Mission Bed would be a beautiful addition to add to your bedroom collection. The straight lines and detail in the headboard and footboard make such a statement. Handcrafted American made to last, it will be a great bed to sleep the nights away or read a good book in. You can personalize this bed to match your existing bedroom furniture by choosing your wood type and finish. If you have any questions or need help with the process please contact one of our Amish Furniture Specialists at 866-272-6773.